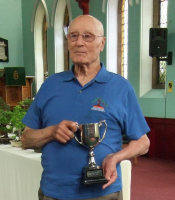 Congratulations to Roy Booth, winner of the Ted Fuller Memorial Trophy for best tree in show with his Japanese maple! cleared up on the day, spoke to visitors, and to Mark Kennerley for the great sales table! 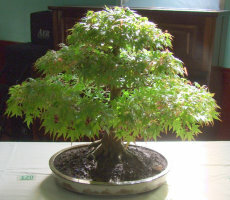 Wayne's Chinese juniper took second place and his acer palmatum was equal third. Debbie's box slate planting was equal third. Join us again on Saturday, 22nd June, 2019!